The litany of environmental bad news  rapid extinction of species, pollution, depleted food sources  can be overwhelming, but there's hope too. 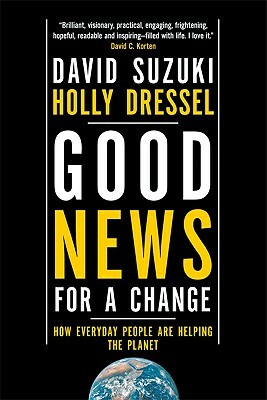 In this thoughtful look at what’s happening behind the grim headlines, authors David Suzuki and Holly Dressel show that thousands of individuals, groups, and businesses are already changing their ways. They highlight the growing number of profitable companies with a positive presence in their communities, activists and Third World villages practicing true participatory democracy, farmers and ranchers sharing their land with other species  even some governments, local and national, basing economic development on an eco-friendly model. The technologies needed to make a better world, say the authors, are already within reach  and being used. This practical, inspiring guide to saving the planet is based on the true stories of ordinary people who are doing it every day.